Below you fill find all funeral homes and cemeteries in or near Ocean City. 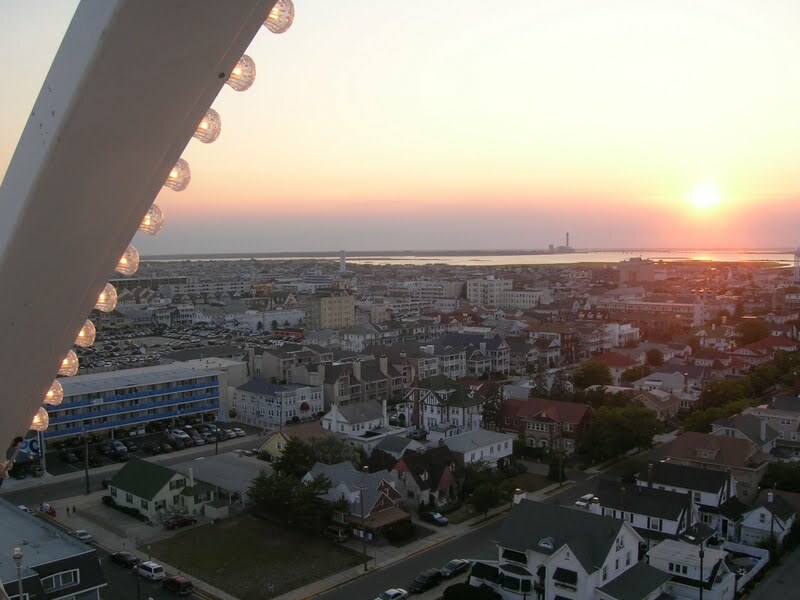 Ocean City is also known as: Cape May County / Ocean City city. Their current mayor is Mayor Jay Gillian. Zip codes in the city: 08226. Cape May County funeral flowers can be purchased from one of the local funeral shops we partner with. Some of the notable people born here have been: Ben Bourgeois (surfer), and Walter Trout (singer and musician). It was disclosed by The Daily Journal on August 21st, 2018 that Robert Lee Sr James passed on in Ocean City, New Jersey. James was 88 years old. Send flowers to express your sorrow and honor Robert Lee Sr's life. It was noted on August 2nd, 2018 that Eileen McGowan (Phelan) passed on in Ocean City, New Jersey. Ms. McGowan was 60 years old and was born in Memphis, TN. Send flowers to share your condolences and honor Eileen's life. It was noted on July 8th, 2018 that Eileen McGowan (Phelan) passed on in Ocean City, New Jersey. Ms. McGowan was 60 years old and was born in Memphis, TN. Send flowers to share your condolences and honor Eileen's life. It was revealed by The Daily Journal on June 13th, 2017 that Emma Louise Donohue (Herlinger) passed away in Ocean City, New Jersey. Send flowers to share your condolences and honor Emma Louise's life. It was written by The Daily Journal on May 3rd, 2017 that Margaret Konschak (Steelman) passed on in Ocean City, New Jersey. Ms. Konschak was 97 years old. Send flowers to express your sympathy and honor Margaret's life. It was revealed by The Daily Journal on March 18th, 2017 that Barbara Ann Wentzel (Nabb) passed away in Ocean City, New Jersey. Ms. Wentzel was 84 years old. Send flowers to express your sympathy and honor Barbara Ann's life. It was revealed by The Daily Journal on November 30th, 2016 that Margaret "Peg" Diehl (Nolan) died in Ocean City, New Jersey. Ms. Diehl was 89 years old and was born in Philadelphia, PA. Send flowers to express your sympathy and honor Margaret "Peg"'s life. It was reported by The Roanoke Times & World News on June 10th, 2016 that Rick Paul Mercoliano perished in Fredericksburg, Virginia. Mercoliano was 33 years old and was born in Ocean City, NJ. Send flowers to express your sorrow and honor Rick Paul's life. It was reported by The Daily Journal on March 28th, 2016 that Helen K Alotacarlisle (Kugler) passed away in Ocean City, New Jersey. Ms. Alotacarlisle was 96 years old. Send flowers to share your condolences and honor Helen K's life. It was reported by The Daily Journal on March 28th, 2016 that Helen K Carlisle (Kugler) perished in Ocean City, New Jersey. Ms. Carlisle was 96 years old. Send flowers to share your condolences and honor Helen K's life. Known first as Peck's Beach, a seven-mile stretch of sand dunes, meadows and cedar swamps was probably named for John Peck, a whaler who used the island as a staging spot for his whaling operation. From these beginnings Ocean City has grown into the town as it exists today. The official website for the city of Ocean City is http://www.ocnj.us/. Find a map, directions and more for Godfrey Funeral Home in Ocean City, NJ. We work with local florists and flower shops to offer same day delivery. You will find budget sympathy flowers in Ocean City here. Our funeral flowers are cheap in price but not in value.